Michael Morris is the CEO and founder of RPC Photonics. 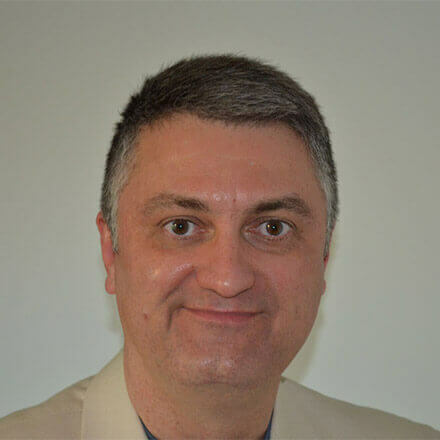 Michael is internationally recognized as a pioneer and expert in the design, fabrication and application of diffractive- and micro-optics components and subsystems. Prior to founding RPC Photonics, he was the CEO of Corning Rochester Photonics Corporation; CEO and Co-Founder of Rochester Photonics Corporation (RPC); and Professor of Optics at The Institute of Optics at the University of Rochester. He is a Past-President of the Optical Society of America (2003) and a Past Chairman of the Board of the OSA Foundation (2014). 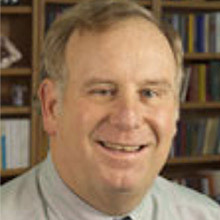 He is the recipient of the 1997 Rochester Chamber of Commerce Civic Award for Science and Technology; the 2002 Leo H. East Rochester Engineering of the Year Award; the 2005 OSA Joseph Fraunhofer/Robert M. Burley Prize; an Honorary Member of the OSA, Rochester Section; and a Fellow of the Optical Society of America and SPIE. Michael received his Bachelor’s degree with Special Distinction in Engineering Physics from the University of Oklahoma, and his Master’s and Doctoral degrees in Electrical Engineering from the California Institute of Technology (Caltech). 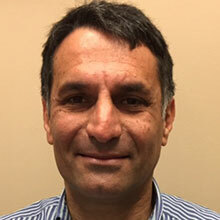 Stephen Chakmakjian is a 27-year veteran in the Photonics Industry with deep understanding of multidisciplinary electro-optics systems and technologies. Having strong communication skills, deep understanding of optical physics, and wide system engineering experience he is uniquely qualified to interpret customer requirements in a collaborative fashion to arrive at optimized product development results. Originally, a founding member of RPC Photonics Corporation he has recently returned to lead the company to further commercial success. Starting his career as an individual contributor and evolving into a successful manager of capital equipment and optical components development, Stephen has delivered mission-critical solutions while at the USAF, Zygo Corporation, Corning, and most recently Veeco Corporation. Highlights include the technical development of over 17 commercial optical systems and product lines in various markets including optical metrology, lithography, telecommunication, optical coating equipment, as well as military applications. While at Zygo Corporation he lead a team of engineers to deliver the metrology used to qualify the optics used in the successful LIGO gravitational wave experiment. Previously at RPC Photonics, Stephen lead a team to deliver the world’s only analog photolithographic seamless drum mastering system for optical film manufacturing, and also initiated the introduction of the Vortex wave plates which were used in achieving the super-resolution results that achieved the Nobel Prize in chemistry in 2014. Stephen holds a B.S in Physics and earned his PhD in Optics from the University of Rochester in 1990 and has 8 awarded patents and multiple refereed technical papers to his credit. 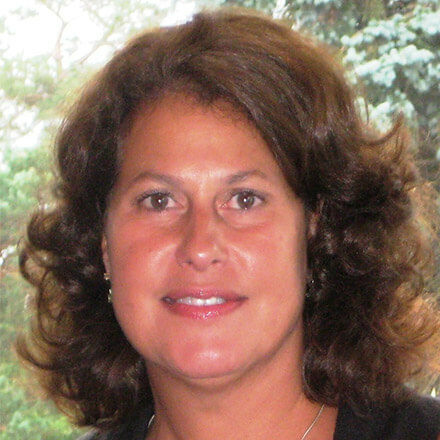 As Controller of RPC Photonics, Lisa is responsible for all financial functions including accounting, financing and tax strategies, asset protection, and reporting procedures to ensure compliance with federal, state, and local legal requirements. In addition to her financial duties, Lisa also directs the activities of the administrative staff and is responsible for all human resources functions including payroll and benefit administration. Prior to Lisa joining Rochester Photonics Corporation as Controller in 1996 before the Corning acquisition, she held accounting and operations management positions at large corporations that prepared her well for the diversity of responsibilities she holds today at RPC. In addition to financial reporting, responsibilities spanned contract negotiations and bid solicitations to budgets and cost analysis to labor scheduling and asset tracking. Lisa holds B.S. in Business Administration from Rochester Institute of Technology and A.S. degrees from Monroe Community College and Mohawk Valley Community College in Accounting, Management and Marketing. Tasso joined RPC Photonics in 1997 working on the design and modeling of diffractive optical elements. With a B.S. and M.S. degrees in Physics from UFPE, Brazil, and a PhD in Optics from the Institute of Optics at the University of Rochester, he has worked on a variety of topics ranging from statistical mechanics of complex systems to optical super-resolution through grating diffraction and optical diffusers, summarized in dozens of publications, patents, and conference presentations. Current activities include overseeing micro-optical design and fabrication efforts at RPC as well as working directly with customers to bring their projects and ideas from concept to reality.